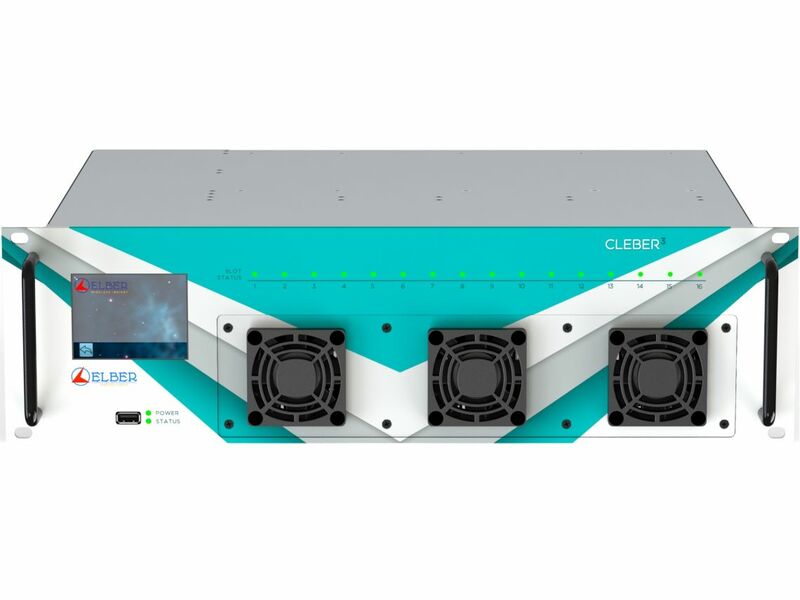 Cleber3 offers a powerful, flexible and modular hardware and software platform for broadcasting and contribution networks, where customers can install up to sixteen boards with no limitations in terms of position or number. Based on a Linux embedded OS, it detects the presence of the boards and shows the related control interface to the user, either through web GUI and Touchscreen TFT display. Power supply can be single (AC and/or DC) or dual (hot swappable for redundancy). The high number of slots available minimize the Capex and Opex of customers, simplifying maintenance and management. In just one chassis, it is possible to feed up to 16 DVB-S2 transponders, or monitoring 32 satellite signals, with many redundancy combination at RF, L-Band, IF or baseband level. Thus Cleber3 can host any combinations of boards, there are particular applications and use cases that can be considered and described separately.